Montmartre in Paris was the birthplace of what would come to be known in the U.S. as the theme restaurant. In the late 19th and early 20th centuries, Parisian entrepreneurs conjured up fantasy atmosphere in strange and unsettling forms. Themes included assassination, imprisonment, death, hell, and that harbinger of bad luck, the black cat. As much devoted to drinking and entertainment as food, Montmartre’s ghoulish restaurants, cafes, and cabarets inspired Americans to duplicate them. Needless to say, both in France and in America such places were heavily geared to tourists and considerably short of good taste. 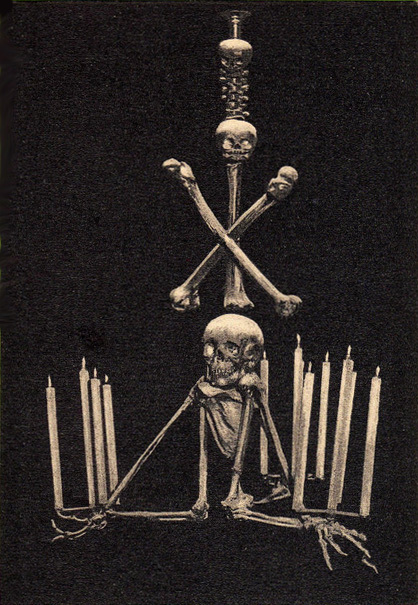 One Paris establishment, the Cabaret du Néant, deliberately transgressed the boundaries of decency serving wine in skulls (thankfully artificial), using coffins for tables and x-rays to turn patrons into skeletons, and – worst of all, in 1915 – digging trenches in the backyard so patrons could experience World War I warfare conditions while dining by candlelight. 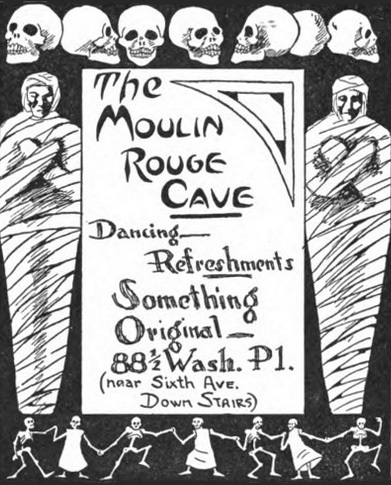 Greenwich Village’s Moulin Rouge used coffins and skulls in its advertising, though whether it carried the theme over to its interior is unknown. It was padlocked in 1924 for serving liquor illegally. Columbus OH had a nightclub known as The Catacombs in the Chittenden Hotel [at top of page] but I was not able to learn anything about it other than that it was doing business in 1941. On the whole, black cats and jails gained greater popularity in the U. S., both themes inspired by Montmartre. 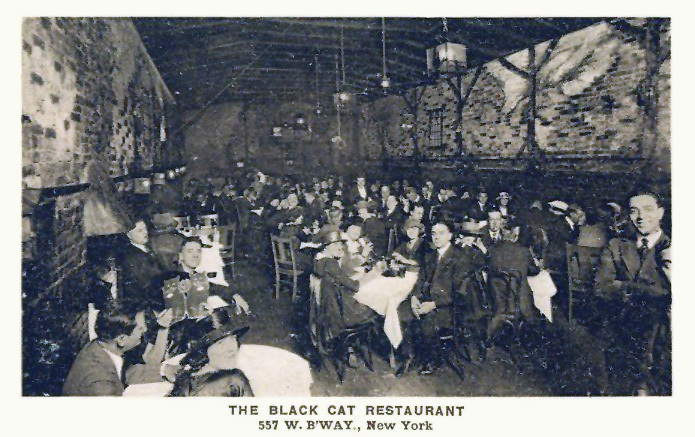 New York City’s Black Cat had many lives [shown above], being declared dead with regularity and then reappearing. San Francisco also had a Black Cat, opened in 1911, but it sounds as though it was quite tame, filled with ferns and potted palms and an orchestra hidden behind a screen. 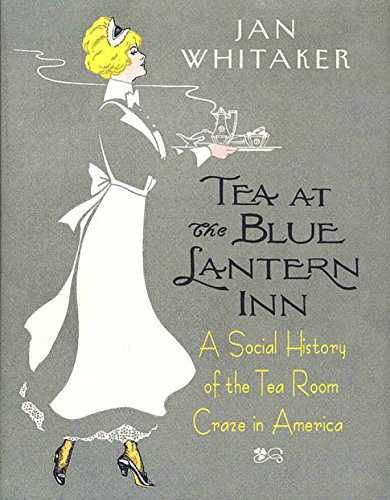 Perhaps another Black Cat Café in San Francisco, or maybe this one transformed, operated from the 1930s into the 1960s as a center for bohemians and beats as well as a gay clientele. As sinister animals go, rats and bats were also celebrated. Greenwich Village’s café, The Bat, was said to have a “macabre interior” similar to Paris’s famed Le Rat Mort (The Dead Rat). It’s likely that the advertising of both made them out to be far more sinister than they were. As for jail restaurants and cafés, they were fairly numerous in this country. The first, labeled dungeons, opened in New York City and were places where patrons sat on crude boxes in cellars and ate steaks with their hands. 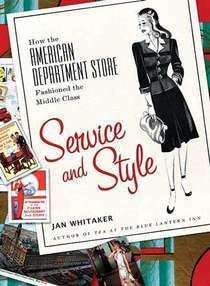 They were particularly popular with men’s groups and conventioneers. 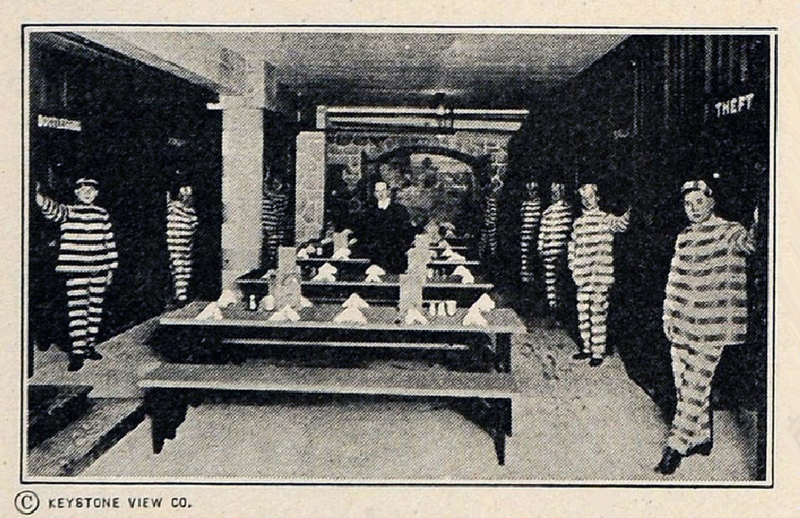 In the 1920s and 1930s, restaurants and drinking places with jail themes, often with servers dressed as jailers or prisoners, appeared in Los Angeles, Indianapolis, and even a small town in Iowa. Strangely, San Francisco’s Dungeon restaurant of the 1920s, complete with cells and wardens, etc., served waffles rather than steak. But then sometimes it’s hard to keep themes on track. 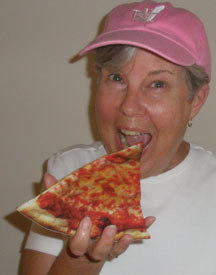 I’ve been working on a future post on truly scary restaurants, ones where outbreaks of food poisoning have occurred. Meanwhile, whether or not you find a spooky restaurant to hang out in for Halloween, have a good holiday! Very interesting post! Who would have known restaurants such as this existed. If only we had the ability to travel back in time.